That India is at the forefront of all emerging economies is a given. But one of the best indicators of this is that commercial real estate is always on the rise here. Some of the top, global, real estate investment giants are bullish on India and would like to develop commercial real estate in the country. Blackstone Group Lp, the world’s largest real estate investor invests US$1 billion in commercial real estate across India, making them the largest land-owning entity in the country among private-equity investors. Xander Group and a consortium led by Dutch pension fund asset manager APG announced a US$300 million venture to buy commercial assets across India’s main office markets: Bangalore, Chennai, NCR, Hyderabad, Mumbai and Pune. GIC Pte, Singapore’s sovereign wealth fund, and Ascendas Pte, a Singapore-based business-park developer invests 600 million Singapore dollars or US$480 million in India’s commercial realty considering that demand is always on the rise. So what is driving the demand? With India becoming a hub for top-quality talent in various fields, global Technology, Financial Services and Bio-technology giants have set-up shop in India. 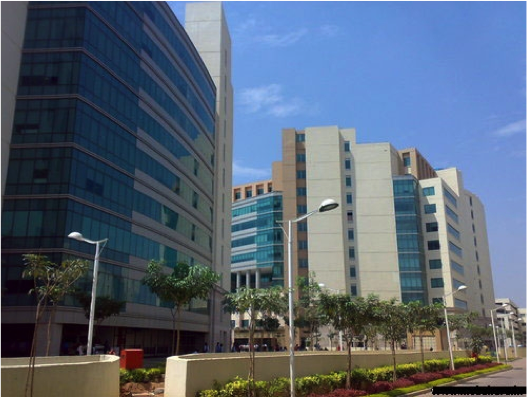 Companies like Xerox, ANZ, Morgan Stanley and Amazon have set-up tech-parks / office-parks / campus-parks with superior infrastructure and facilities, to serve global operations. This has raised the bar for Indian realty companies who have built similar facilities and sustained the demand for quality office space. In fact, India’s top six cities have witnessed the largest net absorption of office space in the Asia-Pacific region, and some of the highest globally. This will only continue in the years to come, according to Cushman and Wakefield Inc, presenting a big opportunity for top Realty Houses in India. This entry was posted in clapdoor and tagged commercial real estate by clapdoor. Bookmark the permalink.